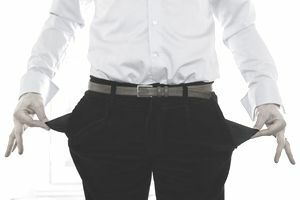 Ever wonder how creditors get paid in a bankruptcy case? Have you received a notice from a bankruptcy court about someone who owes you money? Do you know what you need to do to get paid? In many Chapter 7 cases, there won't be anything to pay creditors (because the filer gets to exempt quite a bit of property. When he can't exempt everything, the non-exempt property is sold by the court-appointed trustee and distributed to creditors as cash payments. How does the trustee determine how much to pay each creditor? That is where the Proof of Claim comes into play. Before a creditor can be paid in a bankruptcy case, the creditor has to fill out and file a Proof of Claim form with the bankruptcy court. The form is almost always available on the bankruptcy court's website. Or you can access a handy fillable version of the official form here. The form requires that the creditor indicate the name of the debtor, the case number, the creditor's name and address, and the amount of the debt. The creditor must also indicate whether the claim is secured or unsecured. Basically, this means whether the debt is protected by collateral, such as a home mortgage. The creditor must fill out a few other technical details, such as if the claim is entitled to priority payment over other creditors (such as if it is a domestic support obligation like child support). Finally - and this is very important - the creditor must attach any documents that support its claim. The creditor must complete the form and file it with the court by a deadline established by the court. Generally, a proof of claim will only be filed by a creditor if the trustee declares the case an "asset" case. The court will send out a notice to this effect that will include information about how to file and the deadline. The trustee gets to pay himself a small percentage of anything he collects from the debtor. So this means that the trustee pays himself before all creditors. After that, priority debts are paid. Priority debts include domestic support obligations; wages, salaries, or commissions up to a certain amount and earned within 180 days of the bankruptcy; contributions to employee benefit plans; a certain amount of deposits for the purchase or rental of property; and taxes and penalties owed to governments. Once all the priority debts are paid, whatever's left goes to the unsecured creditors (those without collateral), on a pro-rata basis. Something that has become very popular among creditors in bankruptcy is something called claims trading This involves selling and buying the claims of other creditors. Even a creditor not involved in the bankruptcy may wish to buy the claim of a creditor that is owed money by the debtor. A document indicating the claim trade must be filed with the bankruptcy court. If you are a creditor in a bankruptcy, you need to be aware of any deadlines to file a proof of claim. Deadlines vary according to the chapter that governs the case. In Chapter 7, as described above, the court will send a notice of the claims deadline after the trustee determines that there may be assets to liquidate and use to pay creditors. In Chapter 13, the deadline is 90 days after the first date set for the meeting of creditors. In a Chapter 11 case, the court will set the claims deadline. Therefore, you need to be very careful about reading all of the documents that you receive regarding the case. The best thing to do, as always, is to hire a bankruptcy attorney to help you navigate the bankruptcy case and to protect your rights as a creditor. Disclaimer: We haven't provided enough information in this short article to guide you in properly filling out a proof of claim. You need professional guidance, even if you just have an experienced attorney review the form after you've filled it out. Remember that just filing a proof of claim does not guarantee you a payment. In fact, most creditors will get nothing in bankruptcy, particularly if you do not become involved in the case. Updated by Carron Nicks February 2018. What is a Preferential Transfer? Who is a Bankruptcy Trustee? Which Debts Are Not Discharged in Chapter 7? What is Chapter 13 Payment Plan Bankruptcy? How Will President Trump Change Bankruptcy? Filing Bankruptcy Without a Lawyer: Can or Should You?